When it comes to revolutionizing the modern cold planning or asphalt milling, technology is at the center stage. The use of tech knowledge is widely applied in the manufacturing of milling machines and has been improving throughout the years. Have you checked the current asphalt cold planer for sale in various yards? Well, you will be impressed by how much these machines have changed in a span of a few decades. Today, we could say that we are at the pick of it all, but technology never stops evolving. We expect more. But how has our asphalt milling experience changed so far? Well, the results can be seen all over. We can say the impact of the technology in asphalt milling can only be termed as mind-blowing. 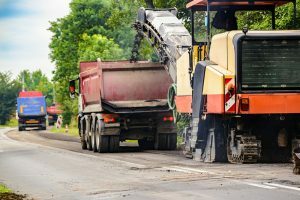 Here are ways that things have changed in the asphalt milling industry. We have seen a massive improvement in both the performance and productivity of the milling process. That is because the asphalt cold planer that is being produced today are designed to offer incredibly high performance. The use of tech has significantly improved the performance of the modern asphalt milling machine. They offer better cutting performance which significantly improves the productivity of the machine. Other factors such as the milling speed of the machine have been improved significantly hence enhancing productivity. You will notice that the overall efficiency of the milling machines has been improved significantly. The modern machines come with incredible ease of use features. The use of tech has greatly changed the way that operators with the asphalt milling machines. The most critical thing that will note is the automation of most of the machine functions. For instance, the current asphalt cold planer for sale does not come with manual gears. Everything has been automated. The user does not also need to adjust the milling depth and things like speed manually! They can do it by just tapping the digital display unit. That is how the interaction with the milling machine has been enhanced by tech. You will be impressed to note that the cost of the asphalt cold planer for sale has reduced significantly. That is because the use of technology has reduced the overall cost of production. These benefits have been passed to the buyers, and that is why the cost of these machine has been going down if you base it on the features they come with. These are just a few of the tangible impacts that the technology has had on the asphalt milling. There many others such reduced cost of productions amongst others.